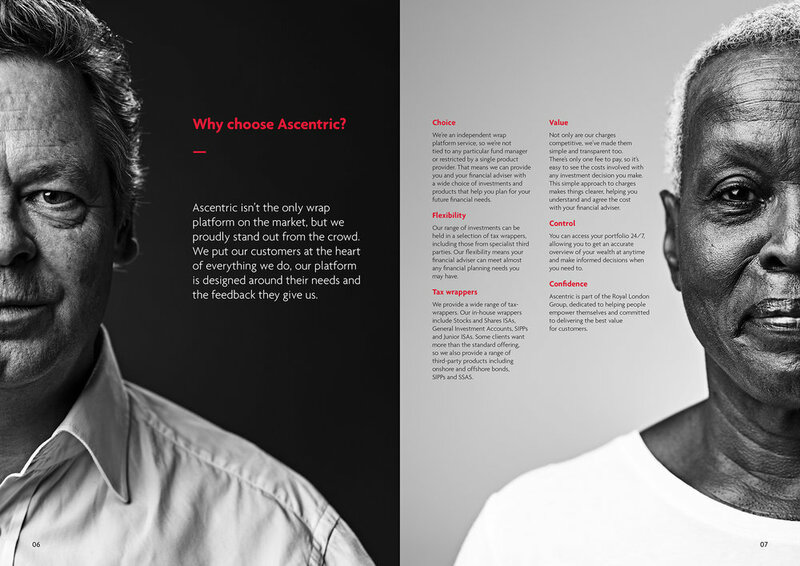 I was given the opportunity to work with Future Kings on a campaign for Ascentric to produce images for the launch of a new platform. Future Kings asked me to produce images that could work across a wide range of media and situations. They are design to support Ascentric's brand value that every customer is an individual and should be treated that way. The images are shot so that they can be repurposed for print or used online.